After the posting of a W Gash & Sons T.I.M. ticket and the very interesting copy from Stephen Ford on the Old Bus Tickets website yesterday here is the Old Bus Photos contribution to the W Gash & Sons of Newark, Notts weekend. It is a shot of one of the first two production D650HS Daimler Freelines that went to W Gash & Sons in 1952, who registered them NAL 782/3. 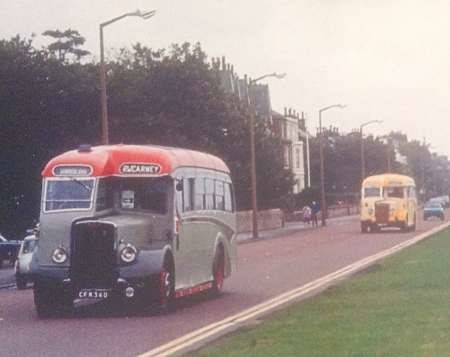 They had Burlingham C41C Seagull bodies and remained with Gash until 1967, when they were apparently sold to Trent Concrete for staff transport. 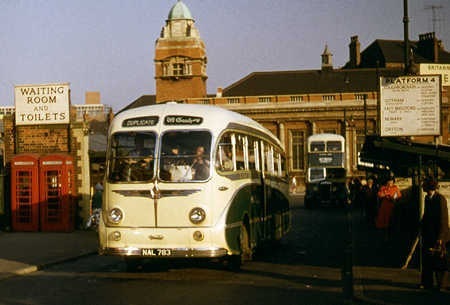 Seen here, in the summer of 1961 just departing Huntingdon Street Bus Station, Nottingham, is the second of the pair NAL 783 with Daimler CVD6/Massey KAL 580 in the background. The very high driving position is clearly visible in this close up shot. I visited Huntingdon Street last week and then seeing the shot above I thought an update may be of interest. Whilst the area formerly occupied by the bus station is still discernible, it is now completely covered by new buildings. The old bus station stands were in two parts which could perhaps have been described as southern half and northern half. The southern half is now completely built over with a multi-story apartment development (!) and the northern half is now occupied by a Staples office store. Surprisingly, the old factory type building seen in the background of many a Huntingdon Street Bus Station shot still survives. A pleasing note to record is that the rather nice art-deco style Barton garage is now in use again as a motor service centre after a long period of disuse and similar premises on the adjacent corner which I understand was once the garage of Robin Hood Coaches before being taken over by Barton are also back in use. The impressive Huntingdon House opposite the former bus station which were once Trent’s Nottingham office, booking office and chart room are still in use as specialist retail units. Like I have said before on other postings, a dead area now but visions of a wonderful former age can still be conjured up! They really did have high driving positions, didn’t they! A very evocative scene – was the sign ‘PLATFORM 4’ another way of saying ‘BAY 4’? If it’s 1952, does it have a quadrant change pre-select box? Alan Townsin’s book on postwar Daimlers states that the Freeline used "a CD650-style gate preselector". 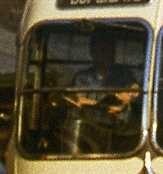 A photo of a 1949 CD650 clearly shows that this is the same arrangement that was used on later CV models, with a horizontal lever on the left of the steering column, similar to the AEC Regent III. However, the book also states that the Freeline had a 5-speed gearbox, so presumably the detail of the gate would have been unique to that model.